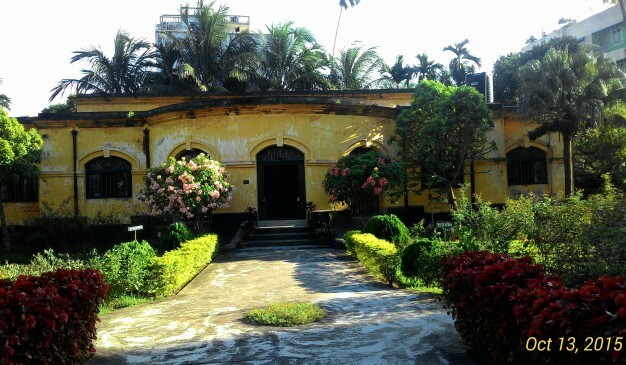 Mymensingh Museum (ময়মনসিংহ জাদুঘর), formerly known as Momenshahi Museum (মোমেনশাহী জাদুঘর) is located at the bagan bari (garden house) of Zamindar Madan Babu at 17 Amrita (অমৃত) Babu Road, Mymensingh, Bangladesh. The museum, which began as an important regional institution for preservation of locally collected historical evidence, lacks proper preservation. Its objective is to preserve the rare and unique relics of local architecture, sculpture, metal works,utensils, handwritten scripts on paper and leaf, and commercial products. 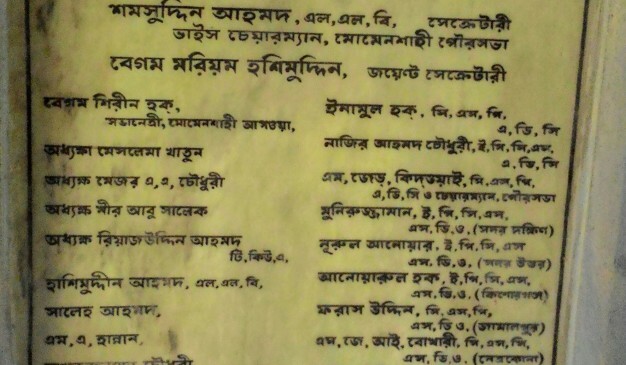 Collected from the palaces of Mymensingh District Zamindars, the museum’s initial collection included 214 articles. They are housed in three rooms within the museum. 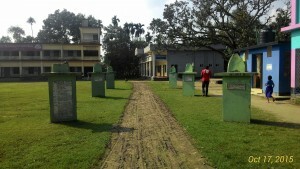 The museum was established in 1969 at the initiative of the-then Deputy Commissioner of Mymensingh. Initially run by the Mymensingh Municipality. The Department of Archaeology, Cultural Affairs Ministry took charge of the museum in 1989. By 1995, it was enlisted in the gazette. The collection includes manuscripts and coins, though many are not on display due to insufficient showcase space. 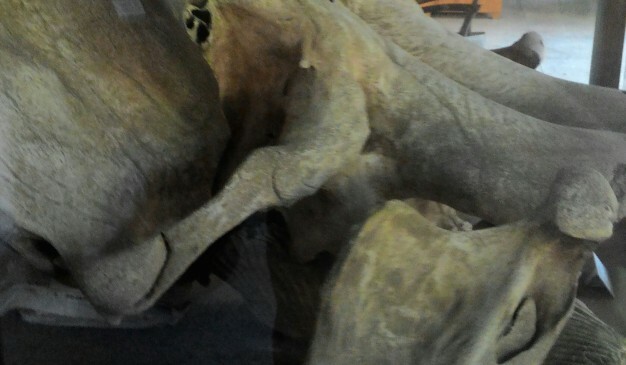 A peacock mummy comes from Mymensingh Medical College. Bamboo and cane items, preserved birds, photographs and pottery were damaged during a renovation in 1999–2001. 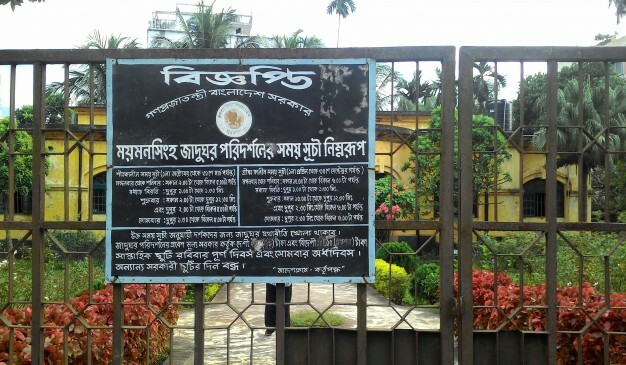 This Museum is located at the main city, also near to the great river Brahmaputra(ব্রহ্মপুত্র নদ). Any visitor staying in the town can easily visit this area by having a walk or using a rickshaw. It is also easily reachable from Kachari area of Mymensingh city and nearby municipal building. It’s not a very large museum. So if a traveler could spend around one hour for visiting this museum then he/she might enjoy the whole view of every single gallery and exhibition. There are so many hotels and restaurants available in Mymensingh town. You may choose one of those. 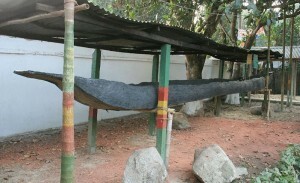 The Panchagarh Rocks Museum is the first rocks museum of Bangladesh. 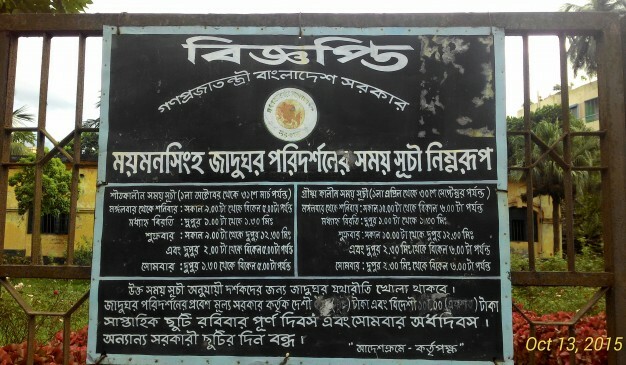 It is located in Panchagarh Govt. Prof. Nazmul Haque, principal of Panchagarh Govt. Mohila College, established the rocks museum on March 1, 1997. The Rocks museum is separate into two galleries, external and internal. In the external gallery there has a vast number of rocks; and in the internal gallery, there are small stones of different ages. Collection of Rocks: Petrified Wood and Fossilized Rocks, Granite, Quartzite Shell, Lime Stone, Sits, Hard Rock, Basalt, Silica, Nice, Clay-Rock etc. have been keep in the Rocks museum for display. These are almost 60 pieces of rocks from different age sized by 3-4 inches to 10 feet. In the museum there are some other important collections. Two antiquarian boats which built with only one truck of tree and about 500 to 1000 years ago and Multicolored sand and earth, petrified 'shall wood' and net, very old pictured bamboo fearing, different type antics, very old writings. Jasim Uddin is the famous poet from Bangladesh, especially for his dedication to write poems about the folklore culture. He is the only poet from the country whose poems depicts the beauty of the villages and people of villages. 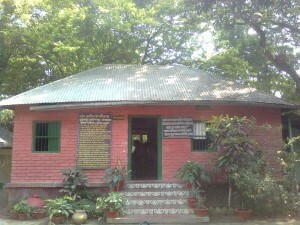 The house of our beloved poet is situated by the river "Kumar". The river itself is an enchanting for its beauty and environment. Inside the house premise, you'll find the grave of the poet (actually a family grave for poet's family). To enter inside the house premise, you'll require 5 taka per person. Inside the premise, you can see some used objects of the poet, for example camera, plates, bed, chair, some photos etc. You'll find lots of quotes from the poet (some from speech, some from poem, and some from story). You'll love to read those from there. Especially the ones those were at your text book during your childhood education. At the outside of the house premise, it’s a nice picnic spot. Lots of visitors used to come to this place to pass the afternoon. The river, and the field beside the river is lovely for enjoying the beauty of the sunset. The large field beside the river is now a playing ground for the local people. They used to pass their afternoon using playing football or other local plays there. It’s also a lovely scene where kids are playing. For visitors, there are benches to sit, under sheds. During the 1st January to 18th January, there used to be a Mela (Fair) at this ground by the name of the Poet. But the Mela unofficially used to extend for another 2 days. So the total duration is 20 days. Currency Museum is located at Mirpur beside Bangladesh Bank Training Academy. This project is taken regarding the enlargement of the currency museum into money museum. The country’s eminent artists, architects and historians have worked together for the museum along with the central bank to make it launch. Museum authority has collected local and foreign coins and banknotes in different ways to enrich this museum. The museum has now thousands of coins and notes from the Pala, Sena, Gupta, Sultani, Mughal and British periods. 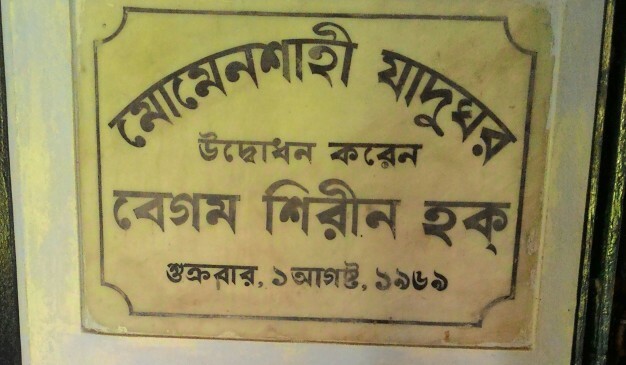 About 2500 coins and notes found in Wari-Bateshwar of Narsingdi will be reserved in this Museum. Bangladesh Numismatic Collectors’ Society handed over 100 coins of different eras to the Currency Museum of Bangladesh Bank. The historically significant deposited coins included 48 of the Alauddin Hossain Shah era, 29 of Nasiruddin Nusrat Shah, four of Shamsuddin Ilyas Shah, five of Sikandar Shah, three of Giasuddin Azam Shah, three of Rukunuddin Barbak Shah, two of Nasiruddin Mahmud, one of Mahmud Shah, one of Shahjahan, two of Badsha Alamgir , one of Islam Shah and one of the Shah Alam era. A museum, first of its kind in Bangladesh, will help young people to know about the currency’s history and its evolution. Not only the history of Money, this museum will also help people to get acquainted with the lifestyle, education, culture and various aspects of archaeological evolution of human civilization through coins and currencies of different eras. It showcases coins and banknotes, which are witnesses to history, to uphold the history and heritage before the present and future generations. Efforts are already on to collect old coins and install digital signage, touch screens, LCD monitors etc to equip the ‘Taka Museum’ into a modern, prosperous, state of the art, rich in information and technology-based museum.It has been established with modern technology to attract visitors. 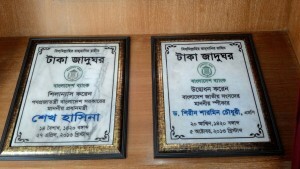 The Governor, Expressed his appreciation in people of the society who are coming forward to enrich the collections of the Taka Museum of the bank, Dr Atiur Rahman said those institutions and individuals who would handover old coins as presents to the museum would be gladly accepted and the presenters would be properly recognized. Background History: A currency museum was set up in the Bangladesh Bank in 2009, which was displaying currencies of almost all countries of the world. Initiatives had been taken to expand this museum to open the 'Taka Jadhughar’. At the end, the central bank's existing currency museum is being restructured as the 'Taka Jadughar'. 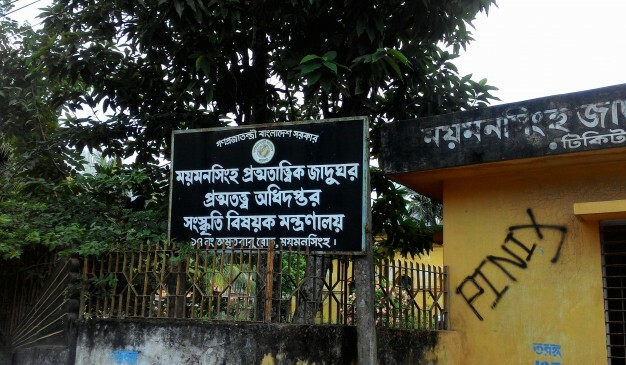 The restructuring of the 'Taka Jadhughar' took place on the premises of Bangladesh Bank Training Institute at Mirpur. Along with this, the central bank is collecting obsolete coins and banknotes to exhibit in the gallery.